Radiant floor heat - Before we start, this article is not about radiant floor heat, but rather what you should know before purchasing a wood floor for a radiant heat system. 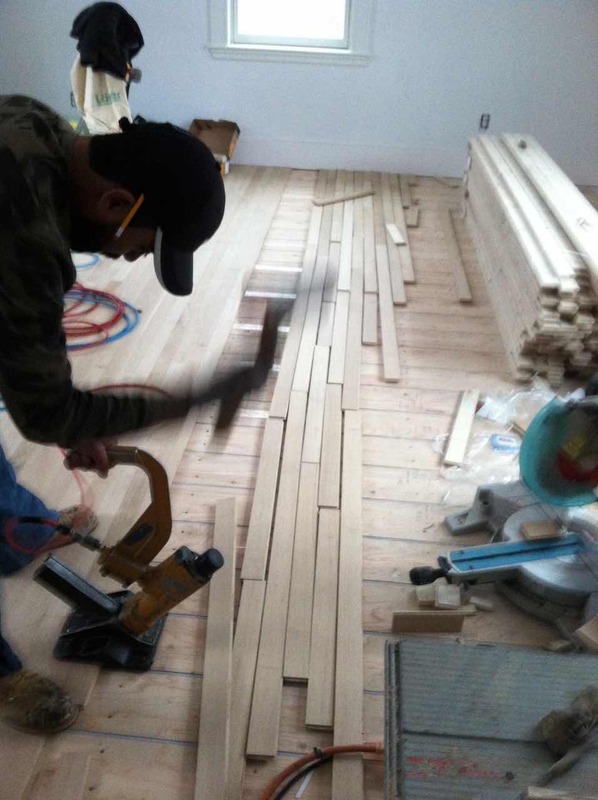 Before you install wood floors over a radiant heat system. You need to understand what radiant heat is and how it can affect your wood floors in your home, what precautions to take and which specie to choose. Not doing so, will lead you to frustration and disappointment towards your investment and expectations. There are two types of radiant floor heat systems - electric and Hydronic (water). Choose the one that best suits your requirements. Electric - electric radiant floor heat system consist of electric cables that runs through your subfloor, heating the floor. It is installed in a wet condition, in poured concrete. If, the space is large enough, concrete's thermal mass can hold heat up to 10 hours without drawing additional electricity to heat it up. Electric radiant floor heating system is ideal for basements and condos with concrete slabs. Hydronic (water) - Hydronic radiant floor heat system is a hot water tube system that runs through your wooden subfloor panel or under your subfloor between the joists. It is the most popular and cost effective radiant heat system. The best type of wood floor for radiant heat systems are wood flooring products that have the best stability. Wood flooring has direct heat contact throughout the entire day. We all know that heat will dry out wood flooring. Excessive moisture loss and gapping is expected, when you install wood flooring products over radiant heat. Which can lead to permanent damages if, you do not take precautions. 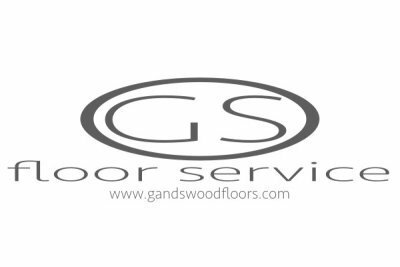 Engineered hardwood flooring - Engineered hardwood flooring have the best stability for wood flooring compared to solid wood flooring, when installed over radiant heat. Due to its construction, you will have the least amount of movement. It can be installed over concrete and wooden radiant floor heat systems. Wood specie - Only certain wood species are allowed to be installed over radiant heating. Check with your radiant heat manufacturer first. Wood species like Oak provide the best stability over radiant heat. Dense species like Maple and Brazilian Cherry is not ideal, because it is less stable. Quarter sawn and Rift and Quarter sawn - For more stability, choose either quarter sawn or rift and quarter sawn. These types of flooring expand and contract along the thickness of the floor board and less along the width. Avoid plain sawn or live sawn, these type of floors will move along the width the most. Which can lead to excessive gapping, when installed over radiant heat. Width - For added stability, narrow strips are more stable than planks or wide plank flooring. 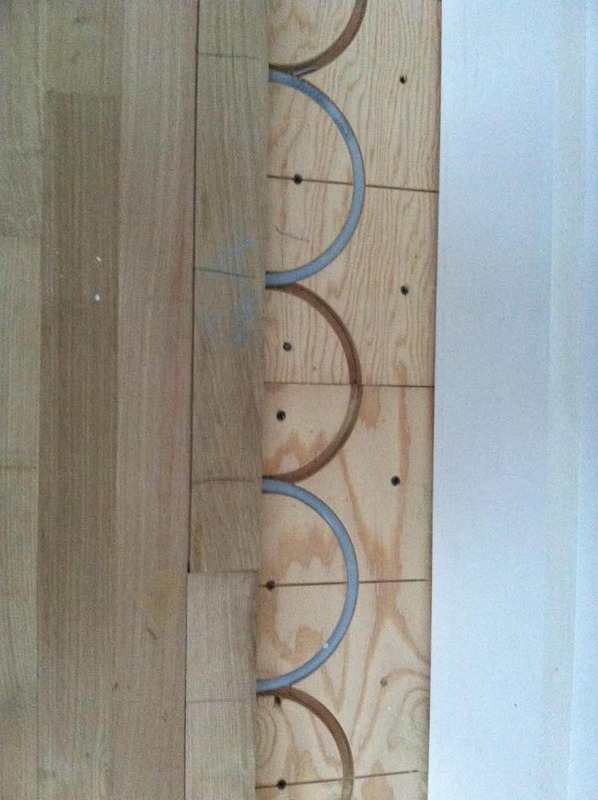 You can expect to see 1/16" to 1/8" gaps for plank floorings. NWFA recommends installing an outdoor thermometer. There will damages to your wood flooring, when you install and outdoor thermometer. The radiant heat will gradually heat up to outdoor temperature. Subfloors need to be moisture tested. Both concrete and wooden subfloors need to be moisture tested and should meet standard installation requirements. Wooden subfloors no greater than 12%, concrete no greater than 3 psi. New concrete needs to be cured a minimum of 30 days. Heat needs to be on for a minimum of one week. Radiant heat should be turned off for a glue down or floating floor installation, also, for site finished floors. Always check the manufacturer's guidelines, the heating system, flooring, underlayment, adhesive and finish manufacturer. Humidification, you will need to install a whole house humidification system to help control the gaps. Glue down - engineered hardwood flooring, use approved adhesive rated for radiant heat, turn off the heat system during installation to prevent rapid drying, Apply two coats of vapor barrier, floor temperature should not exceed 85 degrees. Reheat the floor gradually after installation completion. Floating floor - engineered hardwood flooring can be installed over approved subfloor, check with the flooring manufacture, Minimum 6 mil vapor retarder approved for installation over radiant heat, underlayment approved for radiant heat installation, approved tongue and groove adhesive for radiant floor heat, maximum floor temperature is 85 degrees. Nail/Staple - solid or engineered hardwood flooring, apply 1 coats of vapor retarder to wooden subfloor, acclimate flooring to 2% of subfloor, use short nails and staples, maximum floor temperature is 85 degrees. You have done all the research and now have the knowledge. Don't choose the wrong flooring company to install your floors. Need Help? Contact a NWFA contractor with your questions, send us an email.